Kale is a nutritional powerhouse, low calorie and incredibly nutrient dense. It is a member of the brassica family of vegetables which are known for their body repairing and disease fighting abilities. It is actually more closely related to wild cabbage than it is to any domesticated vegetable, likely partly responsible for its powerful health supporting attributes. Currently American consume an average of 152 pounds of sugar, including High Fructose Corn syrup and refined table sugar, per year. Two out of every three Americans are overweight or obese and that number is rising. Why Kale? 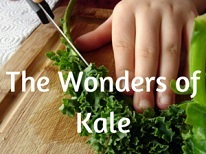 What are Kales Nutritional Properties? 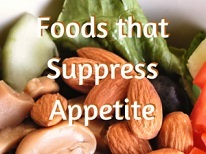 Healthier food choices and specifically eating foods classified as super foods can help reverse this. As mentioned, Kale is a nutritional Powerhouse and has been shown to have healing properties as well. broccoli and some of the other cruciferous vegetables are often more well known and more researched, but none surpass Kale in terms of its health supporting power. Calcium, Vitamin B6 and iron. Kale has been studied in relation to cancer more than in any other way and this makes sense. It’s antioxidant, Glucosinolate and anti inflammatory properties are where it excels. We have seen that Kale has an amazing nutritional profile but it also contains healing compounds in its cell structures and color pigments. In fact it contains over 45 different flavonoids which are compounds that could potentially prevent or defend against cancer. In addition, it contains many different anti-inflammatories which help prevent many other types of diseases as well. It main weapon, however, are its glucosinolates which are the sulphur compounds that give it the bitter taste it is known for. Its glucosinolates have been shown to suppress cancer in numerous animal trials. According to George Mateljan, author of the book The Worlds Healthiest Foods, it has abilities to lower the risk of five types of cancers, bladder, breast, colon, prostate and ovary. Much research has shown that Glucosinolates provide cancer preventative benefits. Once Kale is eaten, the digestive processes convert the Glucosinolates into the powerful cancer fighting compounds. glucoraphanin – which breaks down into sulforaphane (SFN) perhaps the most well known Derived Isothiocyanate, found also in cruciferous vegetables such as brussel sprouts, broccoli and cauliflower. The young sprouts of broccoli are especially high in this compound. without sufficient amounts of antioxidants, our bodies can undergo oxidative stress which is a problem with metabolizing oxygen. Studies have shown that cruciferous vegetables and specifically kale not only fight against the disease but also can provide treatments benefits. The two main types of antioxidants studies here are the flavonoids and carotenoids. Two powerful carotenoids, lutein and beta-carotene are contained in concentrated amounts in kale. The studies have gone further to actually show an increase of the carotenoids nutrients in the bloodstream after digesting kale. part of the risk of cancer is when the cells are under oxidative stress and become cancerous. The findings of consumption of kale being a weapon against this occurring is a reason for anyone to begin consuming more of this incredible vegetable. Quercitin is a very well known flavonoids, is abundant in Kale and is one of the 45 documented flavanoids the vegetable possesses. These are very likely key to its cancer fighting abilities. The bottom line: Eat more Kale. Although less research has been done on the anti inflammatory aspects, Kale contains tremendous amounts of Vitamin K and significant amounts of Omega-3 fatty acids, both of which work in combination to be exceptional anti-inflammatories. Think of the “K” in Kale to be Vitamin K. It is that significant. A potential way for the green veggie to help with this fast growing health problem is in its fiber content and protein. The fiber in this and other greens are a key to blood sugar balancing. The 3 grams of plant protein in a cup of Kale also helps with the amount of blood sugar as well. One of its antioxidants, anthocyanins, has been shown to help stop fat cells from expanding and help in weight loss. One study showed mice had a sigficant drop in weight gain by consuming anthocyanins. Kale is also very filling and low in calories as most greens are as well. whenever possible- always get Organic Kale. it is on the famous list of “the dirty dozen,” foods shown to contain the most residual pesticides. Organic kale is close to conventional kale in price and is even fairly easy to grow organically in a garden. It is an extremely hardy plant and most varieties can survive well into the winter cold. For most people, it is easier to consume if slightly cooked. Most of its nutrients are retained if the cooking is brief and is much better steamed than boiled or cooked at high temperatures. An ideal way to consume is in a smoothie which breaks up the fibers and reduces the bitter taste when combined with baby salad greens, romaine, baby spinach or similar. Adding broccoli sprouts is another powerful way to compound its health benefits. Juicing with celery and other greens is another fantastic way to get a massive influx of its nutrients into your body. This vegetable is so understood as having profound positive impacts on health that a group of people have even petitioned for a National Kale Day being the first Wednesday of every October. This National Kale Day has been celebrated for e years now starting in October of 2013.